If I’m hurt or get sick at work, can I see my own doctor, or do I have to be treated by the company’s doctor? What if I am not happy with how my claim is resolved? What are the rules about workers compensation in my state? 1. What should I do if I am injured at work? The most important thing for employees to know is that any time you are injured on the job, you should report the injury immediately to a supervisor, in writing if possible. Some states require that notice to the employer be made in writing, while others allow a verbal notice. However, to be safe, employees should report all on-the-job injuries to supervisory personnel in writing. Since some states have a short filing deadline (called the statute of limitations), you should file immediately so that you do not lose any legal rights you may have to receive workers compensation benefits from your employer. If your injury or illness requires it, you should also seek medical care immediately. 2. If I’m hurt or get sick at work, can I see my own doctor, or do I have to be treated by the company’s doctor? Under the FECA you may initially select any qualified doctor to be your treating doctor – although the law does place some restrictions on the use of chiropractors. If you are not a federal employee, you are not covered by the FECA, and state law will apply. In some states, you have a right to see your own doctor if you make this request in writing before the injury occurs. More typically, however, injured workers are referred to a doctor recruited and paid for by their employers. Usually, you will only be required to see the company doctor for a maximum of 30 days, and then you will be able to choose your own physician. The doctor is chosen by the agency and need not be Board-certified in any field of medical expertise (although many are). The agency pays all associated expenses and is responsible for forwarding to the second opinion doctor all relevant medical documents, a statement of accepted facts (a ‘SOAF’), and any specific questions that it wants the doctor to address. Under the statute, you have the right to bring your own doctor to these exams. Any representative you’ve appointed must receive formal notice of the exam. The doctor must submit a written report within 30 days of the exam. The doctor is supposed to provide only medical opinions. If the initial second opinion report is unclear, the workers’ comp office is responsible for following up and requesting a supplemental report. If the second opinion doctor’s report agrees with your treating doctor’s opinions, there generally is no problem, and FECA compensation payments will continue uninterrupted. If the second opinion doctor’s report is different from the first doctor’s report there are two options: the office can either weigh the medical evidence to determine which doctor’s opinion is more accurate or declare a “tie” and seek a third doctor’s opinion. The workers’ comp office will usually give more weight to the second opinion doctor’s evaluation than to the treating physician’s. If your compensation is modified based on the second opinion, you have the right to appeal. If the agency decides the conflicting medical opinions are of equal weight and declares a “tie,” it will appoint a third doctor, or “referee,” to resolve any conflicts in the medical evidence. Your doctor’s report will have a big impact on the benefits you receive. Keep in mind that a doctor paid for by your employer’s insurance company is not your friend. The desire to get future business from your employer or the insurance company may motivate a doctor to minimize the seriousness of your injury or to identify it as a pre-existing condition. For example, if you injure your back and the doctor asks you if you have ever had back problems before, it would be unwise to treat the doctor to a 20-year history of every time you suffered a minor pain or ache. Just say “no” unless you have suffered a significant previous injury or chronic condition. 3. How do I file a workers’ compensation claim? Filing a workers’ compensation claim is similar to filing any other insurance claim. It is not a lawsuit against an employer, but rather a request for benefits. The first step in filing a claim is to notify your employer. No matter how the employer learns of the incident, they must offer you a claim form immediately. Until this claim form is completed, the employer has no obligation to provide benefits. Your employer should be able to supply you with the forms needed to file a claim. In fact, most states require the employer, doctors’ offices, and hospital emergency rooms to have the forms which start the process. If they cannot, immediately contact your state Workers’ Compensation Office, which can be located through our site’s state government agencies page. When filling out the form complete only the “Employee” section. Be sure to SIGN and DATE the claim form. It is important that you keep a copy of the claim form for your records. Return the claim form to your employer. You may hand-deliver or mail it to your employer. If you choose to mail the claim form, we recommend you use certified mail-return receipt requested. It is important to file quickly because otherwise, you could be subject to delays in receiving your benefits. Your employer should then complete the “Employer” section and forward the completed claim form to his workers’ compensation insurance company. Your employer should give you a copy of the completed claim form. You should request a copy from your employer in the event you do not receive one. Keep a copy for your records. Generally the insurance company has fourteen (14) days to mail you a status letter about your claim. If you don’t receive this letter, you should call the insurance company. 4. What if my employer does not have workers’ compensation insurance? Other than a few exceptions, such as agricultural employees, domestic employees, and independent contractors, employers are required by law to have workers’ compensation insurance. If your employer claims that they do not have workers’ compensation insurance, contact an attorney as soon as possible or call your State’s labor department or workers compensation office, which can found on our site’s state government agencies page. If your employer does not have workers’ compensation insurance, your state likely has a fund out of which they will pay for your workers’ compensation benefits. You may also be able to sue for negligence if an employer required to do so does not carry workers compensation insurance. 5. Do I need a lawyer? If you need a lawyer depends on the complexity of your case. If you are not sure you understand any part of your case, be sure to contact a local workers’ compensation lawyer. If you stand before an administrative or court judge you should hire a lawyer to represent you. 6. What if I am not happy with how my claim is resolved? If you are a federal employee covered by FECA, the following will apply: If you disagree with a final determination of the Office of Workers’ Compensation Programs (OWCP) you may request an oral hearing or a review of the written record from the Branch of Hearings and Review. Oral or written evidence in further support of the claim may be presented. You may also request a reconsideration of a decision by submitting a written request to the District Office which issued the decision. The request must be accompanied by evidence not previously submitted. If reconsideration has been requested, a hearing on the same issue may not be granted. You may also request a review by the Employees’ Compensation Appeals Board (ECAB). Because the ECAB rules solely on the evidence of record at the time the decision was issued, no additional evidence may be presented. You may not file through the state or federal system; once a final ruling has been made by ECAB there are no further outlets to have the decision overturned. If your employer disputes your benefit claim, you may ask for a hearing in front of the Workers’ Compensation board. If you lose, you may appeal to take your case before a Workers’ Compensation Administrative Law Judge. If you still lose, you might be able to take it to court in the judicial system. If you are not a federal employee, you are not covered by the FECA, and state law will apply. However, most states’ workers’ compensation laws provide for a similar appeals process. 7. What are the rules about workers compensation in my state?  Each state has different rules, guidelines, and deadlines within the framework of workers compensation law. See our page on Filing a Workers Compensation Claim for more information about what to do in your state.